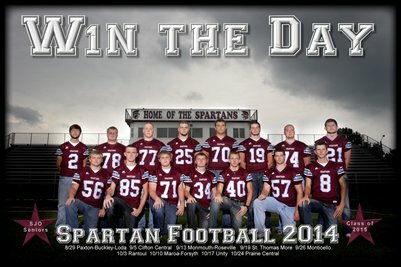 Our collection of team sports posters available for purchase. 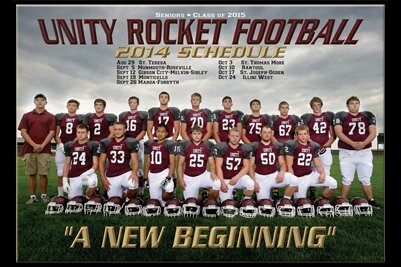 Schedule poster featuring the Class of 2015 seniors from the St. Joseph-Ogden football team for the 2014 season. Finish On Empty! 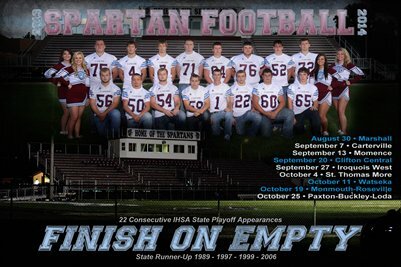 This schedule poster features the St. Joseph-Ogden 2013 football seniors. 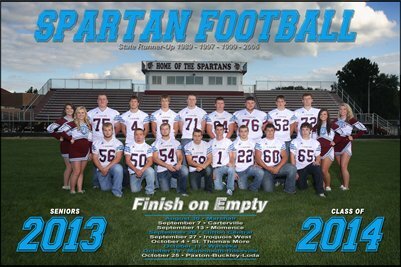 2013 St. Joseph-Ogden football wall schedule featuring the seniors players and cheerleaders. Finish On Empty! 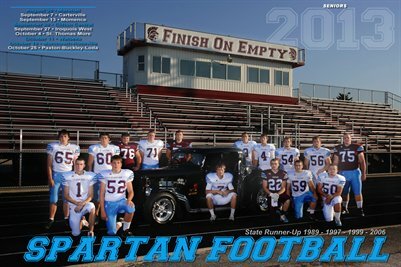 This schedule poster features the St. Joseph-Ogden 2013 football seniors and cheerleaders. 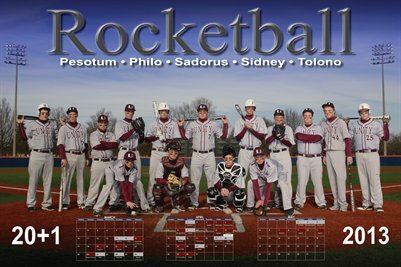 2013 season calendar for the Unity Rockets baseball team. 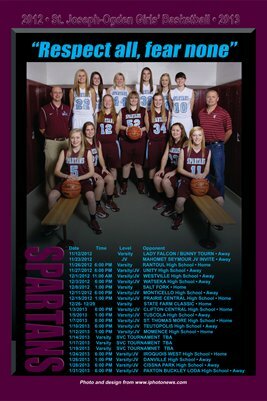 2012-13 team photo and schedule for the St. Joseph-Ogden girls' basketball team.